SUCH SITES ARE ALWAYS ENCOURAGED ATLEAST BY WE INDIAN HINDUS. WE ALWAYS ASK FOR VISWASHANTI THAN Asking for INDIVIDUAL OR GROUP PROSPERITY. 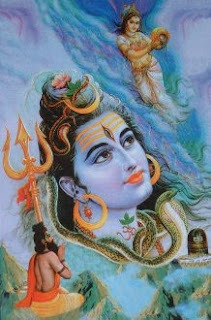 LORD SHIVA IS "SHANKARA" MEANING WHO DOES "SHAM" KARA-i.e. DOING GOOD FOR ALL,AS DESCRIBED IN SANSKRIT. really good information about pradosha .thank you. Thanks for your information anne…. Just want to confirm that to release from our karmas is that sufficient to be in a meditative mode during the pradosham time (5.30 to 7pm) and chant the "Thiru Neela Kantam" mantra and observe the ritual for Pradosham at temple?